Apple hates game emulators. Go ahead, look around in the iOS App Store, you won't find any. But who needs 'em anyway? 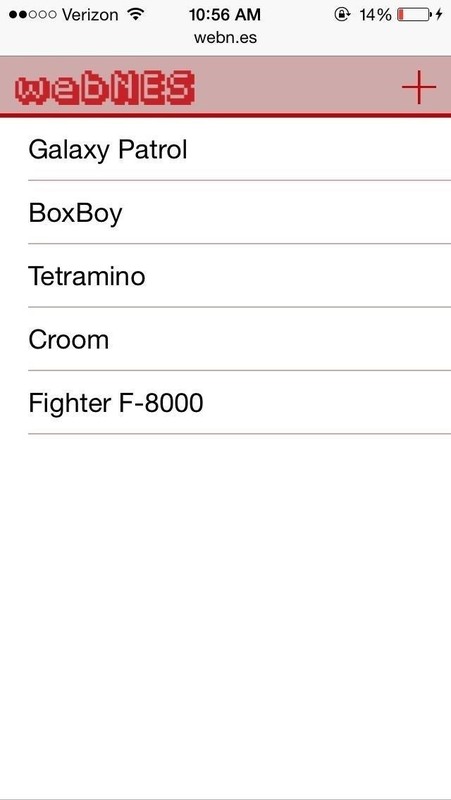 Anyone with a jailbroken iPad or iPhone can install emulators for practically any classic gaming console they want. Hell, you can even do it without jailbreaking, as we've shown you with GBA4iOS, which lets you play all your favorite Game Boy Advance games for free. Now, there's a way to get classic Nintendo games on your iPad or iPhone without jailbreaking that's even easier—play them in your browser using webNES. 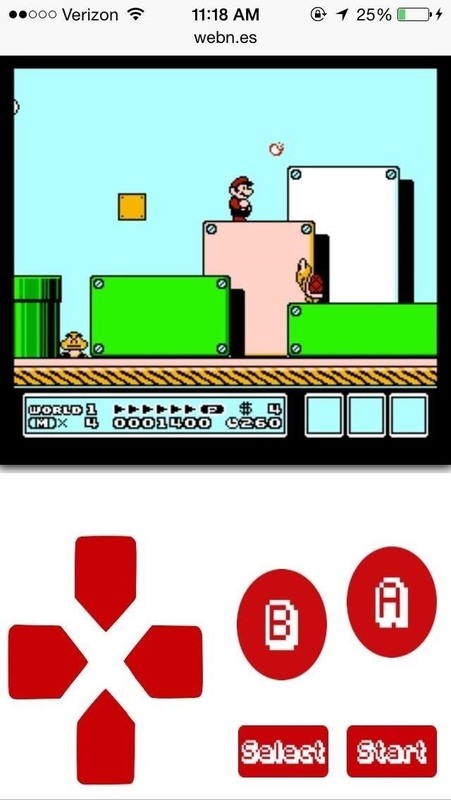 Playing NES games on your iOS 7 device is easy. Just open up Safari and head to webn.es. This will give you immediate access to the webNES emulator, where you'll see a handful of built-in ROMs available, like Galaxy Patrol, BoxBoy, and Croom. While it's nice that there are pre-loaded games on webNES, they're mostly simple and a tad bit underwhelming. 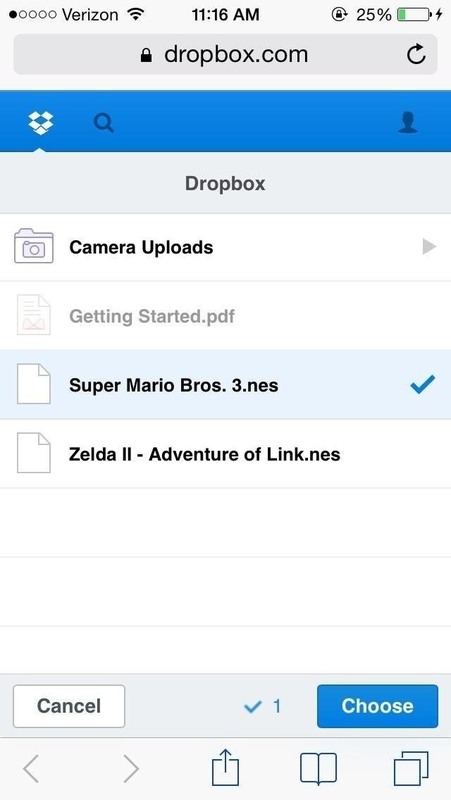 For this reason, the developers of the site also give you the ability to upload your own NES ROMs using Dropbox. If you want to upload any NES ROMs you legally own, simply tap the red plus sign at the top right of the web browser. This will redirect you to another tab, where you can then log in to Dropbox. If you don't have any ROMs, you can upload any of them from your computer, as long as the file ends in .nes and you legally own it. 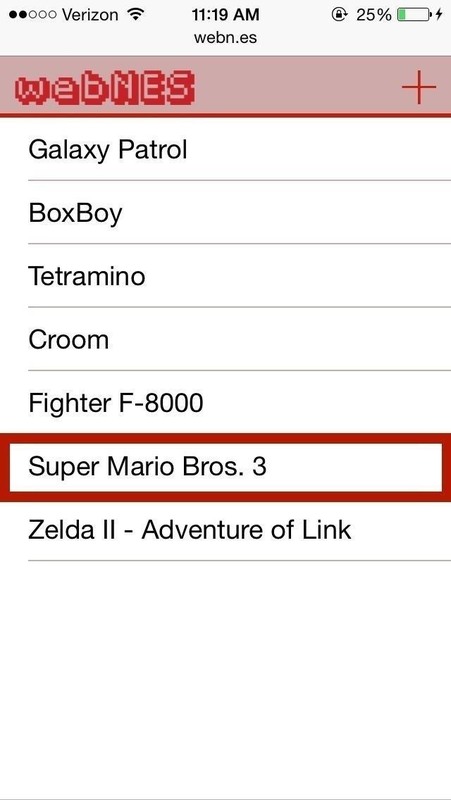 After selecting which ROMs to upload to webNES, go back to the main page and select the games, which will now appear in the list below the pre-loaded games. 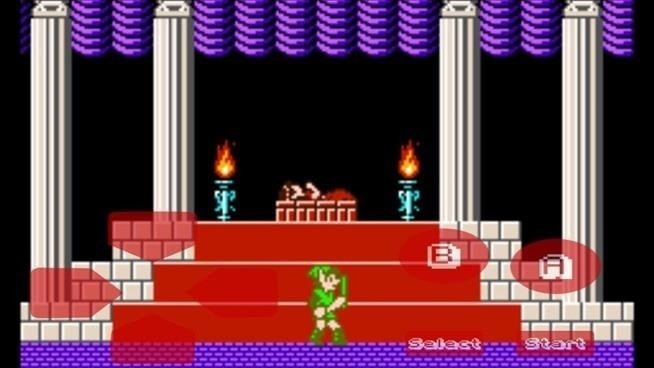 In addition to Super Mario Bros. 3, I uploaded Zelda II - Adventure of Link and a couple of other ROMs. At times, the controls are choppy and the gameplay lags, but it's pretty decent overall. If you want sound, you'll need to plug in some headphones—no sound emits from the phone's speakers. 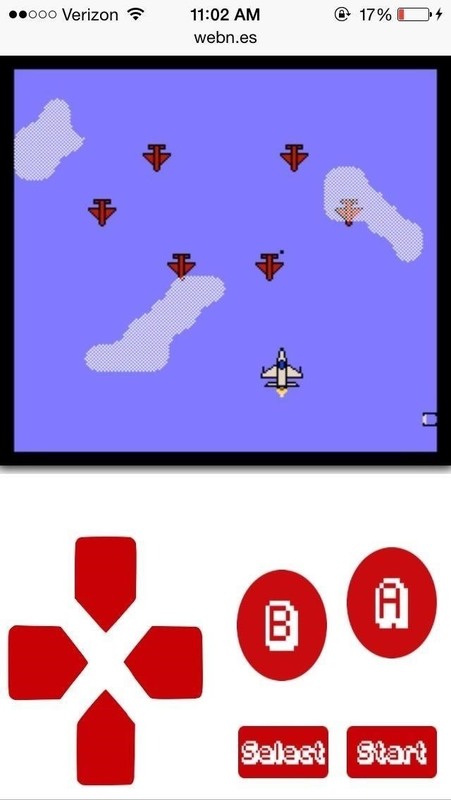 If you rotate your device, the emulator goes into landscape mode with the screen slightly zoomed into the game and the controls overlayed across the bottom portion of the screen. Understandingly so, the emulator works with what it can, especially because of Apple constraints. It allows you to play NES games, which you otherwise wouldn't be able to play for free on iOS unless you jailbreak. For what it does and what it is, it is certainly a wonder and something that everyone should try out at least once. PS: WebNES also works on Android and other mobile devices. You cheat! This does not work at all.